Ten students between the age seven and 12 years old walked away with prizes such as mobile phones, books and stationery after winning a colouring competition at MHCC yesterday. The colouring competition involved children drawing their favourite fruit and colouring them. The competition was held during the two weeks holidays and yesterday they received their prizes. 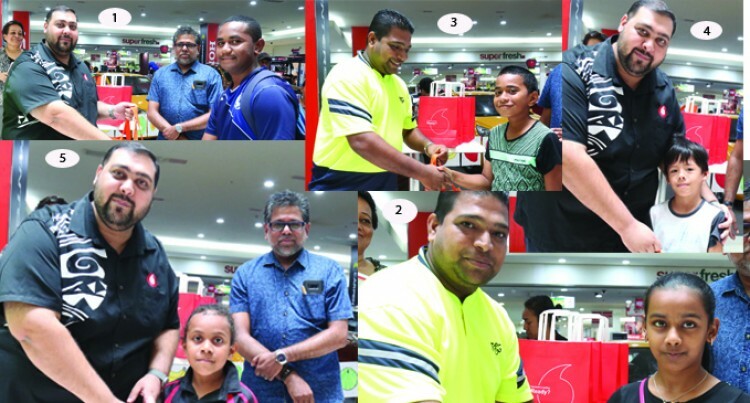 Carpenters Fiji Limited director retail and marketing Kunaseelan Sabaratnam said they wanted children to engage in activities during the school holidays. “The Government is trying to com­bat Non-Communicable Diseases, so we thought ‘why don’t we do the fruit competition and children have to eat fruits’,” Mr Sabaratnam said. Mr Sabaratnam said they were happy with the entries. “We had 290 entries for this competi­tion. We have other competitions that the children should look forward to,” he said.